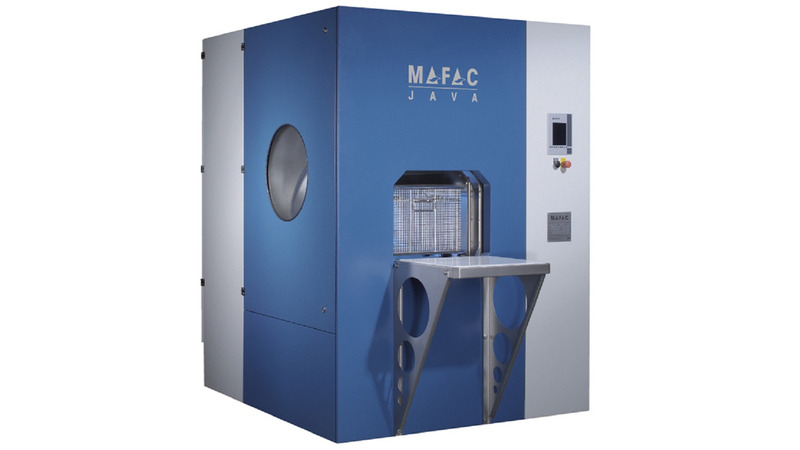 Excellent cleaning results with the MAFAC JAVA are achieved by operating the standard feature of spray-flood cleaning.The partial flooding of the cleaning chamber is carried out simultaneously to the spray cleaning of parts, supported by the patented rotation of the cleaning system and the holding basket. Flood cleaning operations are especially effective for components with areas that cannot be reached directly by the cleaning detergent due to undercuts and hidden contours. The JAVA significantly contributes to the reduction of secondary process times by its high-performing quick-draining operation. Effective bath care is guaranteed by a standard coalescing oil separator. User-friendly touch panel control The MAVIATIC visual display software, developed in-house by MAFAC specialists, offers excellent ease of use in Windows "Look&Feel". It is based on a standardised touch screen control system which is generally adaptable to the entire MAFAC model range.